HONG KONG - CHINA Tens of thousands of people take to streets in "long-term Occupy"
Tens of thousands of people take to streets in "long-term Occupy"
Protests resume with renewed vigor, after authorities' decision to cancel talks with the students. A leader invites residents to occupy "every inch of the streets". People are "disillusioned" with the government. The Chinese premier reiterates the goal of "social stability" and the approach of "one country, two systems." 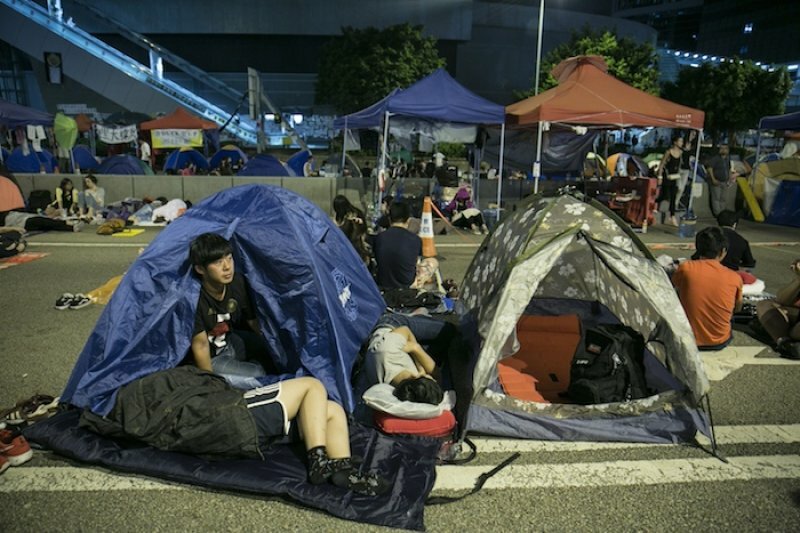 Hong Kong (AsiaNews / Agencies) - Following the Hong Kong government decision to cancel talks with the student representatives, tens of thousands of people have returned to the streets for a long-term "Occupy Central" protest. Students, activists, intellectuals and ordinary citizens have come out in a show of "massive support" for the leaders of the protest, who have been at the forefront of democratic movement aimed at achieving true democracy and the resignation of Chief Executive Leung Chun-ying. Meanwhile, the leader of the executive is set to leave the city for China to participate in the regional forum in Guangzhou. Overnight, crowds returned to occupy streets and squares, while student groups - the Federation of Students and colleagues from Scholarism - are calling for "a long-term Occupy". The protest has resumed with renewed vigor, after the authorities and the local government decided to cancel any possibility of dialogue with the leaders of the protest. A representative of the students asked residents to occupy "every inch of the streets." "We have tents here to show our determination that we're prepared for a long term occupation," said Benny Tai, one of the leaders of the movement. In recent days, the police presence has been discreet and the authorities seem unwilling to crack down on the protesters, fearing a violent drift in the protests. The government and Occupy leaders blame each other over a lack of sincerity in dialogue, but the square and citizens show a growing impatience with the government authorities. People are "disillusioned," warns a teacher. Meanwhile, Chinese Premier Li Keqiang, on an official visit to Germany, claims to have confidence in "social stability" in Hong Kong, once again reiterating the approach of "one country, two systems" adopted for the city. Stability and prosperity in the long run, he adds, are not only essential "to the interests of China," but must be to the advantage "of the people of Hong Kong."